There has been a sharp rise in the number of build-to-rent homes complete, under construction and in planning across the UK, according to the British Property Federation (BPF). 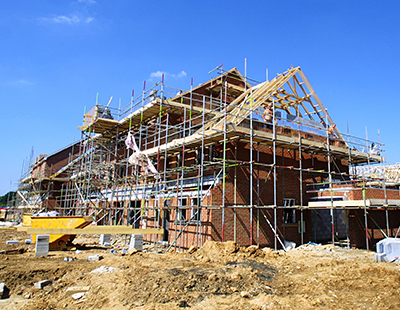 The BPF’s first set of annual data on the build-to-rent sector reveals that the total number of build-to-rent homes complete, under construction and in planning across the UK has increased by 30% in the past year. In the UK there are now 117,893 build-to-rent homes – new, high-quality and professionally-managed homes built for renters – across all stages of the development lifecycle, compared to the total of 90,761 homes at the end of the first quarter of last year. When looking specifically at the number of completed build-to-rent homes, the total has increased by 45%, growing from 14,371 to 20,863, in the corresponding period. This figure is even higher for the number of build-to-rent homes under construction, which has increased by 47%. For the first time, included in the total figures for 'in planning', the research has tracked the capacity of strategic sites across the country identified for build-to-rent. A total of 17,578 homes have been earmarked by local authorities and developers for delivery on these sites. The number of homes provided by the Build-to-Rent sector has shot up in both London and the regions. The regions, however, now have a significant lead over London in approving new developments, with 62% of all build-to-rent homes under construction. Outside London, the North West leads with the highest volume of build-to-rent homes complete, under construction and in planning. Ian Fletcher, Director of Real Estate Policy, BPF, said: “The build-to-rent sector is evolving quickly, with significant delivery in the regions and more houses, rather than just apartments, coming forward. “Policy is also adapting, as to date the sector has grown without a planning blueprint. This is now changing. With the draft revised National Planning Policy Framework, local authorities will now have to specifically identify how many new rental homes their respective areas need. This has never before been enshrined in UK planning policy.